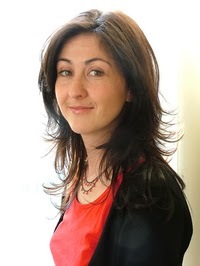 Lara Vapnyar is the author of the new novel The Scent of Pine. She also has written two story collections, There Are Jews in My House and Broccoli and Other Tales of Food and Love, and another novel, Memoirs of a Muse. Born in Russia, she lives in Manhattan. Q: What was the inspiration for the camp where Lena, the main character in The Scent of Pine, is a counselor? A: It was inspired by my own experience. I worked at a camp like that one when I was 18, and every time I would go on a date with a soldier--he would disappear from the camp grounds in the next day or two. 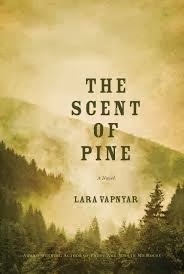 Q: Why did you decide on "The Scent of Pine" as the book's title? A: I didn't. My initial title was "Anatomy of a Hedgehog," but my publisher thought that everybody would hate it. Q: Did you have an idea of how the book would end before you started writing, or did you change it as you went along? A: This novel is based on a real-life mystery to which I don't have an explanation. I was hoping that as I go along I would discover the truth myself, and I'm so taken with my fictional truth that I almost think this is what happened at that camp. Q: As someone who's written novels and short stories, do you have a preference? A: Short stories are more fun, but I love novels because you can include there almost any experience or thought or idea that you happen to have while you're writing it. A: A novel about Internet applications called "Virtual Grave."